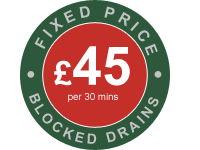 AlfaClear Drains offer comprehensive and professional drain services for Ealing and surrounding areas. See below the services that we offer and click on the links to view more details about these services. 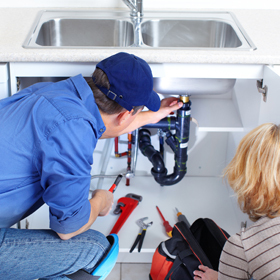 If you have any questions or would like to discuss any of our drain unblocking/maintenance services then please call us on 020 8723 2424 and one of our team will be happy to help. FAQs | Find Your Answers Here! See below some answers to common questions people have and help & advice on what you should do. 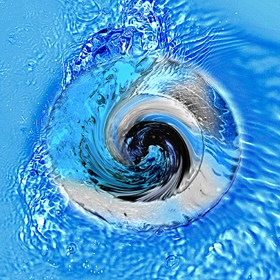 A drain is a pipe that carries sewage and/or surface water from a single property. They are often referred to as private drains because responsibility for clearance and maintenance lies with the owner of the property. A lateral drain is that part of a private drain outside the boundary of a property to the point at which it connects with a sewer. 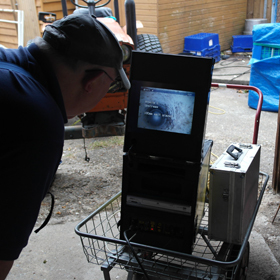 A sewer is a pipeline carrying sewage and/or surface water from more than one property. If your drain is blocked you will usually know because your waste will stop going away when you flush the toilet, or gullies outside will overflow. There will also probably be a smell around drains and inspection chambers. If none of your neighbours are affected then the likelihood is that your drain is blocked. If your neighbours are also affected it is likely that there is a problem on the sewer. What shall I do if my drains are blocked? 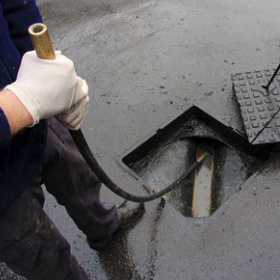 Responsibility for the clearance of blockages in and repairs to private drains usually lies with the property owner. Check first to see if you are covered by any insurance schemes you may have. If you cannot clear the blockage yourself, you can contact a specialist drainage contractor or plumber to clear the drain and/or carry out any repairs. 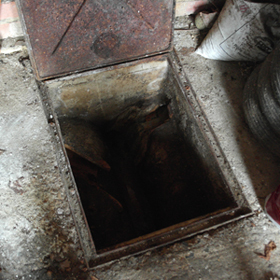 What shall I do if there is a blocked or defective sewer? If you live in rented accommodation and have a drainage problem, contact your landlord or Housing Association. If your problem relates to a drainage issue on a neighbouring property that is not being dealt with, officers of the Council may be able to investigate and refer the matter to the appropriate agency or take enforcement action where appropriate However, if you experience a problem with any of these, we may be able to offer advice or help If you have water in your garden that is related to a watercourse, you should contact the Environment Agency on 0800 80 70 60.